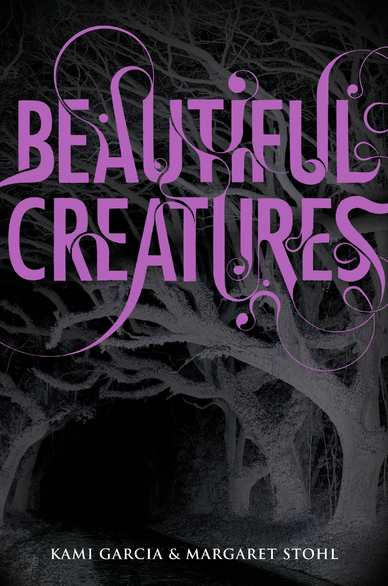 Beautiful Creatures, by coauthors Kami Garcia and Margaret Stohl, is a gorgeously written southern gothic romance about two young lovers who refuse to let a family curse determine their fate. They soon learn that changing fate takes more than determination, and if they fail, they could lose more than just each other. Ethan Wate has spent the last 16 years of his life pretending to fit in with the people of Gatlin, a small southern town where nothing happens and life never changes. At least that’s how life was before Lena Duchannes arrived. Not only is she the mysterious girl who has been haunting his dreams for weeks, but she’s also the niece of Macon Ravenwood, Gatlin’s most eccentric and reclusive citizen. Being an outsider and the teenage niece of the town shut-in, whose only means of transportation is a creepy black hearse, makes Lena less than welcome in her new community. Yet, Ethan is inexplicably drawn to this beautiful, strange girl who is hiding a dangerous secret. Beautiful Creatures is a brilliantly crafted novel in which a captivating mystery unfolds piece by piece as Ethan and Lena dig into Gatlin’s past to thwart a curse that has plagued her family for generations. In the process, Ethan’s life changes forever when he learns that there is a much darker side to his sleepy hometown. Lines are drawn and forces, both social and magical, work toward splitting the two young lovers apart. With each new discovery, the thrills and dangers increase as he and Lena struggle against unforgiving locals, secretive relatives, and a curse that places everyone they love at the brink of destruction. The story of these two star-crossed lovers is exquisitely told, drawing out their characters bit by bit with each new test of will, forcing them to make choices that send them headlong into a family feud that spans generations. The strength of this novel lies in its character development. Ethan and Lena easily carry the story, but the secondary characters are equally as strong and engaging, especially Macon Ravenwood who threatens to steal every scene in which he appears. In a market driven by young adult paranormal romances that feature desperately beautiful girls who are protected by their stunningly handsome/dangerous boyfriends, Beautiful Creatures is a breath of fresh air. Not only does it take a sideways view of the paranormal romance by casting Ethan as the point of view character, but it also portrays him as an average guy with no special powers other than his unique connection to Lena. Compared to his literary peers, Ethan is a nice guy who falls for an girl who just happens to have an extraordinary gift. Beautiful Creatures is a page-turner packed with southern mystery, style, and charm – not to mention enough twists and turns to keep even the savviest mystery reader on her toes. This is one of those books that you won’t want to put down even after you have read the last page. Luckily, Beautiful Darkness, the next book in the series, was released on October 12, 2010. This entry was posted in Books and Literature, Fantasy, Reviews, Young Adult Literature and tagged Beautiful Creatures, Beautiful Darkness, books, fiction, gothic, Kami Garcia, Margaret Stohl, Paranormal romance. Bookmark the permalink.